You will find below the horoscope of Vanessa Mai with her interactive chart, an excerpt of her astrological portrait and her planetary dominants. If you know the time of birth of Vanessa Mai, we would appreciate it if you would send us your information with your source, at stars@astrotheme.com. To thank you for contributing to the enhancement of our astrological database, we shall be glad to send you the astrological portrait (34 pages) of this celebrity. Horoscopes having the same aspect Mercury sextile Saturn (orb 1°05'): Cameron Diaz, Penélope Cruz, Mel Gibson, Emma Stone, Meghan, Duchess of Sussex, Jessica Simpson, Charles, Prince of Wales, Rocco Siffredi, Jennifer Garner, Paul Newman, Eva Green, Carmen Electra... Find all the celebrities having this aspect. Horoscopes having the same aspect Mercury square Uranus (orb 1°07'): George Clooney, Justin Timberlake, Paris Hilton, Carla Bruni Sarkozy, Benedict Cumberbatch, Björk, Richard Gere, Michael Douglas, Jean Dujardin, Arielle Dombasle, Steven Seagal, Joseph Gordon-Levitt... Find all the celebrities having this aspect. Celebrities clicked on in real-time: 576,481,013 times. Vanessa Ferber (née Mandekić, born 2 May 1992), known professionally as Vanessa Mai, is a German singer. She first gained notoriety as a member of schlager band Wolkenfrei and later began working as a solo artist following the band's split. She chose her stage name as a reference to her birth month, which is spelled Mai (pronounced ) in German. Here are some character traits from Vanessa Mai's birth chart. This description is far from being comprehensive but it can shed light on his/her personality, which is still interesting for professional astrologers or astrology lovers. 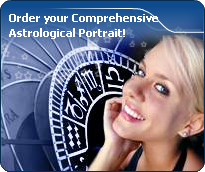 In a matter of minutes, you can get at your email address your astrological portrait (approximately 32 pages), a much more comprehensive report than this portrait of Vanessa Mai. Warning: when the birth time is unknown, which is the case for Vanessa Mai, a few paragraphs become irrelevant; distributions in hemispheres and quadrants are meaningless, so are dominant houses and houses' accentuations. Therefore, some chapters are removed from this part. Like the majority of Earth signs, Vanessa Mai, you are efficient, concrete and not too emotional. What matters to you is what you see: you judge the tree by its fruits. Your ideas keep changing, words disappear, but actions and their consequences are visible and remain. Express your sensitivity, even if it means revealing your vulnerability. Emotions, energy and communication must not be neglected; concrete action is meaningless if it is not justified by your heart, your intellect or your enthusiasm. The predominance of Water signs indicates high sensitivity and elevation through feelings, Vanessa Mai. Your heart and your emotions are your driving forces, and you can't do anything on Earth if you don't feel a strong affective charge (as a matter of fact, the word "feeling" is essential in your psychology). You need to love in order to understand, and to feel in order to take action, to the detriment of a certain vulnerability against which you should learn to fight. Fire's qualities are not very present in your chart, with only 9.49% instead of the average 25%, which means that you may lack warmth, enthusiasm, conquering spirit, or energy. You may look indifferent to others, with almost no desire, no joy of life or no enterprising ability. Actually, it is not true, but you should let go, force yourself to be more daring, and show your amazement as well as your vitality. You certainly have as much energy as others, you just need to release it, and it is up to you to display more of it, since it will be all to your benefit: shout, sing, pull faces, dance! That's the right mean for you... In the end, you'll never be accused of being sad, phlegmatic or a killjoy! In your natal chart, the three most important signs - according to criteria mentioned above - are in decreasing order of strength Taurus, Capricorn and Scorpio. In general, these signs are important because your Ascendant or your Sun is located there. But this is not always the case: there may be a cluster of planets, or a planet may be near an angle other than the Midheaven or Ascendant. It may also be because two or three planets are considered to be very active because they form numerous aspects from these signs. After this paragraph about dominant planets, of Vanessa Mai, here are the character traits that you must read more carefully than the previous texts since they are very specific: the texts about dominant planets only give background information about the personality and remain quite general: they emphasize or, on the contrary, mitigate different particularities or facets of a personality. A human being is a complex whole and only bodies of texts can attempt to successfully figure out all the finer points. There is so much voluptuousness and so much charm in your personality, Vanessa Mai! You are what is called a “nature” and when confidence is established, slowly but steadily, you become deeply attached to your partner and you can be filled with passion. It may take months, even years, but you are so generous and affectionate that, in most cases, your relationship has many chances to blossom, with time. You are very physical and sensual and you are very keen to delight in your intimate moments. This aspect of your amorous relationship usually contributes to its sustainability. Everything seems idyllic, Vanessa Mai. It would be so if your jealousy and your possessiveness did not get started simultaneously with your powerful feelings. But you have so many assets, so be content! You express your energy in a vague and random manner, Vanessa Mai. This is not a handicap, but it prevents you from reasonably planning your long-term actions. You are a bit whimsical and scattered, sometimes hyperactive and willing to devour obstacles with your big shark teeth, but often, you take the easy way out because of your desire for tranquillity. You loathe conflicts and your cleverness and your flexibility allow you to achieve your goals while shrewdly worming your way through difficulties. Your intuition and your imagination are the assets that compensate your lack of efficiency and discipline. You are much more successful when you work for a noble cause, usually a collective one, sometimes political or spiritual ones. On the sexual plane, you are whimsical and impossible to categorize. You are so changing and malleable that you can shift from one extreme to another, according to your partner's personality, because your adaptability and your flexibility are really strong. This text is only an excerpt from of Vanessa Mai's portrait. We hope that it will arouse your curiosity, and that it will prompt you to deepen your knowledge of astrology, as well as to visit and use the wide range of free applications at www.astrotheme.com. Your Life Path is influenced by the number 1, Vanessa, which often prompts you to have an active and sometimes original life. 1 is the number of creativity and indicates individual destinies which are achieved at the cost of personal efforts because, although the path may lead very far, it climbs steeply upwards. You need to learn to manage your life with a strong willpower while using your own resources. It is most likely that you reach the best of your possibilities if you choose a free-lance occupation, or anything which allows a lot of personal initiatives. You really need freedom of action. You prefer to innovate rather than to follow the trend, and to create rather than limiting your activities to repetitive tasks. Thus, your life may be theatre of spectacular twists and turns, all the more so because the more you progress, the more your indecisiveness fades away. In such conditions, it is necessary that you strive to maintain a minimal degree of stability in the course of your life.